That racism exists in our world, in our country, in our community, in our systems – social, economic, and political – is irrefutable. But as a middle-aged, middle-income, able-bodied, cis-gendered, straight, white, Christian, male, layers of privilege afford me the possibility – the comfort – of not noticing that racism. Or, if I do notice the racism rampant in our systems, those layers of privilege mean I can keep that knowledge at a distance. I’m protected from the violence in, of and from our systems. 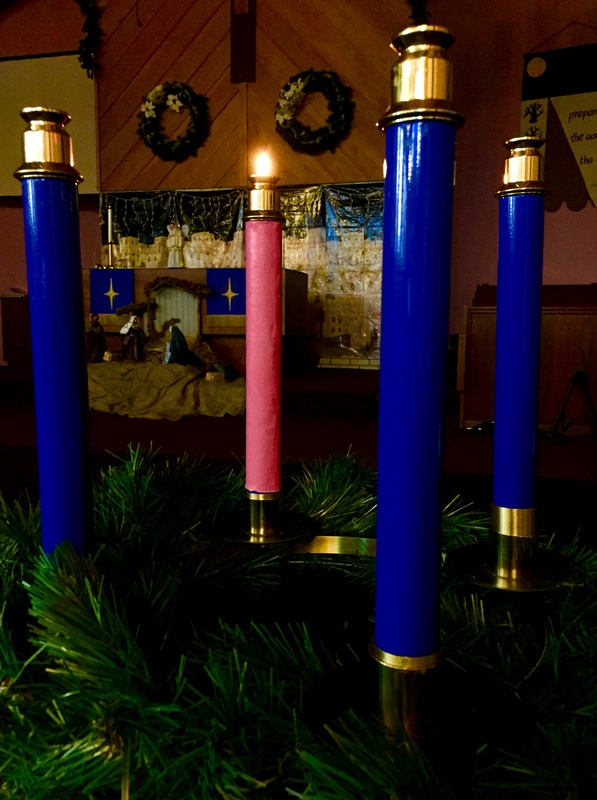 Advent, the season of the church year that calls us to prepare for God’s incarnation in Jesus, began on Sunday with the gospel writer exhorting us to “Keep awake!” Mary’s song reminds us just what we need to keep awake for: the healing and justice Jesus brings for the blind, sick, and oppressed. One of the protest chants in Ferguson, MO this summer was, “Stay Woke!” Remaining alert to injustice is the most faithful way to participate in Advent. That’s why I’m eager to connect us with the #StayWokeAdvent movement. One of the best uses of privilege is to make room for those who are less often allowed a seat at the table. That is, to share any platforms I have with those much closer to the violence than I. It is time for me and for us to listen to the painful stories of those hurt, crushed and even killed by our cultural systems: people of color. MJ: How do we react to anger being viewed as negative, or wanting to avoid it? We want people to “calm down” or “get over it”. To get an even fuller picture of the injustice built into our current systems – and the key role Chicago plays – I once again commend to you the extraordinary, incisive, meticulous essay by Ta-Nehisi Coates. Especially for we who are white, I’m convinced we are incapable of having an honest, informed conversation about Ferguson, New York, or Cleveland – that is, a conversation about race in the USA – unless and until we’ve been reminded of (or taught for the first time) our national history. Jesus announces that his purpose is to heal the sick and release those bound by the chains of injustice. We who would follow him, we who would be his disciples, must have a #StayWokeAdvent. This may come as a shock to many of you, but sometimes I don’t know what to say. Saturday is the one year anniversary of the massacre at Sandy Hook Elementary School in Newtown, Connecticut, and I don’t know what to say. I can say that I’m appalled, sad, furious when thinking about December 14, 2012. Yet even those words seem to barely scratch the surface of my emotions. I didn’t grow up with guns. No one in my close family hunts (or at least not that I know of). None of my childhood friends ever went hunting or talked about it. Other than a bb gun at scout camp, I’ve never fired any kind of gun. And I’m not interested in changing that. I don’t understand “gun culture.” And I’m not really interested in changing that, either. However, I also know that I am a big ol’ walking, talking, writing, breathing contradiction (which comes as no shock whatsoever). I can say that I deplore guns, the destruction they bring, and the culture that promotes them. But an honest look at pretty much every TV show, book, movie, comic book, and video game that I enjoy has some form of violence as part of its story; often involving guns. So I don’t really know what to say. As cliché and fake as it sounds, today I do have friends that own guns, friends that hunt. I don’t – and wouldn’t – ask them or want them to change that about themselves. It is part of who they are. In addition, I’m convicted by that great exchange from season two, episode four of The West Wing: Ainsley Hayes scolds Sam Seaborn that his gun control position is not about public safety or personal freedom, but it’s about “you don’t like people who do like guns. You don’t like the people. Think about that.” I see that possibility in myself, but I know I must push back against that tendency. Having a good, close friend who owns guns and hunts helps me with that. 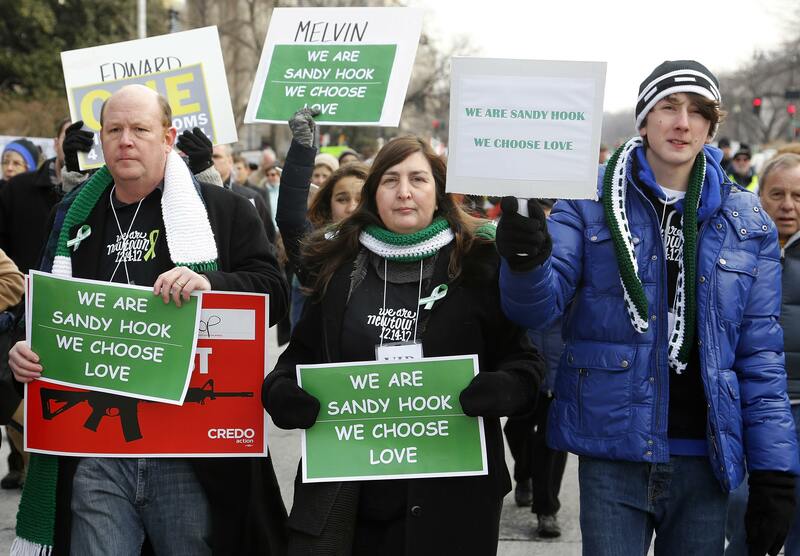 Saturday is the one year anniversary of the massacre in Newtown. Sunday in worship (for sure at the Evening service, possibly at the morning services) we will remember those victims. But honestly, I don’t know what to say. Read the whole Resolution on Gun violence. 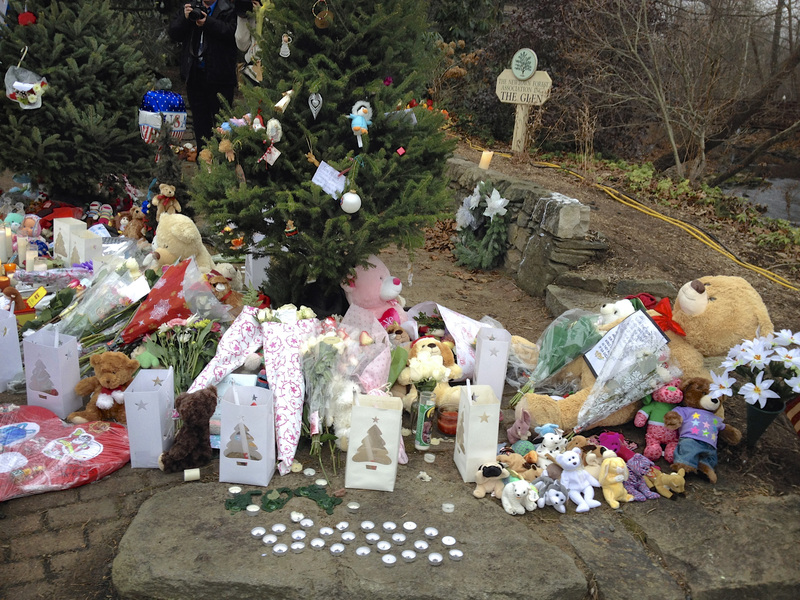 Read the Board of Church & Society post about remembering Newtown. Read about 24 other school shootings that have happened since Sandy Hook. Another one happened today in Colorado. Attend Sunday Evening Worship this week at 5:00pm. Bring your knowledge, your experience, your limitations, your passion and join with others doing the same as we consider together how Woodridge UMC will work vigorously to curb gun violence in 2014. Begin the conversation by leaving a comment. Just remember to keep it respectful. Of course we won’t all agree. But looking at scripture, tradition, experience, and reason together is the way forward; the way to more healing, more hope, more life in this, God’s world. Together we will find the words. Together we will find the way. As I wrote on Thursday afternoon, word broke of yet another shooting at a school. This time a 14-year-old was shot at a middle school in Atlanta, Georgia. According to police, the suspect is in custody and the wounded student is “alert.” Both suspect and victim are students at the middle school. 7 weeks after the massacre at Sandy Hook Elementary, Newtown, CT which left 28 dead. 3 weeks after a 16-year-old shot two students with a shotgun at Taft High School, Taft, CA. 16 days after a student shot an administrator and himself at Stevens Institute of Business and Arts in downtown St. Louis. 9 days after three people were shot at Lone Star Community College near Houston, TX. 2 days after King Prep High School student, Hadiya Pendleton was shot to death in a park in Chicago. 1 day after a gunman shot and killed a school bus driver and abducted a Kindergarten student in Midland City, Alabama. And those are just the school-related shootings. To say that all this breaks my heart sounds far too trite, and yet other, better words fail to present themselves. I am sad and I am angry. It seems clear this is not how God intends for us to treat one another. It seems clear that our culture is addicted to violence and in love with guns. It seems clear that I am part of the problem. From the shows I watch to the movies I enjoy to the books I read to the comics I buy, violence is too often a common denominator. Now a new way to enter that fight for sanity presents itself. We – as individuals, as families, as a congregation – can emulate The United Methodist Church’s General Board of Church and Society and United Methodist Women by joining our voices with Faiths United to Prevent Gun Violence. Over 40 denominations and faith-based organizations have joined, including Protestants, Catholics, Jews, Muslims, and Sikhs. Adding our voice to this movement will not, by itself, stop all gun violence. A diversity of other actions are needed too. Actions born of our faith that the one we call Lord and Savior is also Prince of Peace. But this is a good step in the right direction. It is something we can do. Join the Faiths United coalition here. Read the United Methodist Church’s Resolution on Gun Violence. Read Demand a Plan from Mayors Against Illegal Guns for a non-fatih-based perspective. Read this report from Mother Jones on gun laws and mass shootings in America. Read this guide to the gun safety debate from Think Progress. Read this fact checking of politicians’ statements on guns from Politifact.